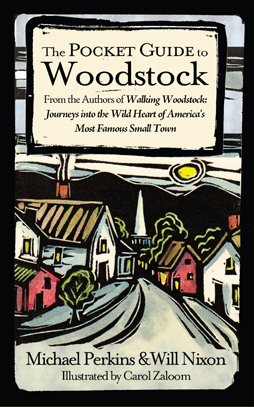 Will Nixon is the co-author with Michael Perkins of Walking Woodstock: Journeys into the Wild Heart of America’s Most Famous Small Town and The Pocket Guide to Woodstock, both #1 bestsellers of the year at The Golden Notebook, Woodstock’s independent bookstore. 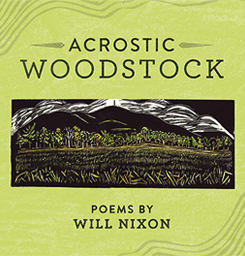 After writing an acrostic poem as a gift to his friend, “Michael Perkins, Poet,” he set out to see how much of Woodstock he could put into poems. Called “a poetic coming of age story” this collection ranges from tales about a childhood swimming hole to college misadventures in the California desert to a snowbound holiday with a Jewish girlfriend who wanted to crown her first Christmas tree with a black bra. There are stories of gentrifying Hoboken in the 1980s, plus a recasting of the poet’s family as zombies from Night of the Living Dead. 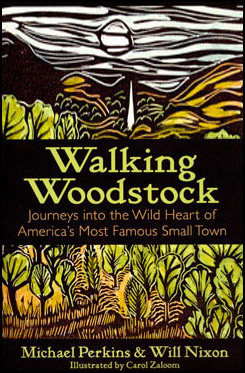 Join Michael Perkins and Will Nixon, authors of the bestselling Walking Woodstock, for a personal tour of places they’ve explored on foot for years. Learn about the early Dutch settlers and witches, the bluestone quarries and tanneries, the bohemian arts colony, the historic hotels on Overlook Mountain, the concert that didn’t happen here, the Sixties rock ‘n’ rollers including Bob Dylan and Levon Helm, the promoters and the eccentrics, the legends and the history that have made Woodstock world famous. Journeys into the Wild Heart of America’s Most Famous Small TownAt a poetry gathering one evening, Michael Perkins and Will Nixon decided to walk across Woodstock, not just the modern town of busy roads but the older village of bluestone quarries, abandoned forest paths, and mountain views they had all to themselves. Walking Woodstock collects their adventures, many first published in the Woodstock Times, that ranged from the delights of finding spring flowers to the fears of a mountain rescue. Full of humor, history, friendship, nature, hikers’ lore, and walkers’ musings, these journeys reveal the wild heart that beats in all of us when we set forth to explore our home terrain on foot.